We are here to help ensure your success teaching online. We recognize the importance of providing our faculty with essential training and resources. 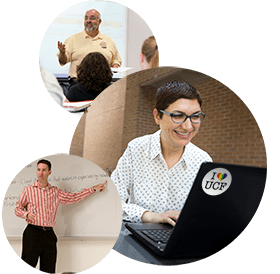 Teach Online contains the latest information on course design, professional development, and educational resources for UCF faculty who teach online or supplement face-to-face courses with online instruction. Let us keep you current on the latest advancements in teaching online, some of which are happening right here at UCF. Enhancing your course with learning objects and activities will help to communicate course content beyond static readings and lectures. Discover the most suitable tools and enhancements for your course objectives. CDL Graphics – Need content visuals for your course? Video@CDL – Need video enhancements for your course? Obojobo – Learning Objects, Reinvented! Here you will find resources to guide the creation of a Webcourses@UCF course sections from start to finish. Request a Webcourses@UCF Course Section – Need a non-academic course? Successful online courses start with effective planning for overall design and outcomes. Here you will find resources about course design, course delivery, and best practices for using technology. Here you will find information and guides about creating and using accessible content for your Webcourses@UCF course section(s). Adhering to accessibility standards will not only benefit students with disabilities but will help assure that all of your students will be able to access and use your online content. Proactive Captioning for Online Courses – Request captions for your online (W) course in advance. Take your skills to the next level by completing any of our professional development courses. Learn the Essentials of Webcourses@UCF at your own pace, or enroll in our award winning IDL6543 course. Want more out of Teaching Online? Keep current with Faculty Seminars geared to making your Webcourses@UCF course a Chuck Dzuiban Award winner. ADL5000 – Want to teach an existing online course? Here you will find many of the best practices compiled by the Center for Distributed Learning to help you link into new ideas about teaching online. The resources represent a compilation of those activities and techniques to help instructors plan their online and mixed mode courses. Experiencing a technical issue with Webcourses@UCF? We’re here to support our faculty, staff, and students with any technical errors, concerns, or questions with all online components supported by CDL. Whether it’s Webcourses@UCF, Panopto, Materia, or Obojobo, we got you covered. UCF recognizes that completing a college degree in a traditional classroom environment doesn't work for everyone. 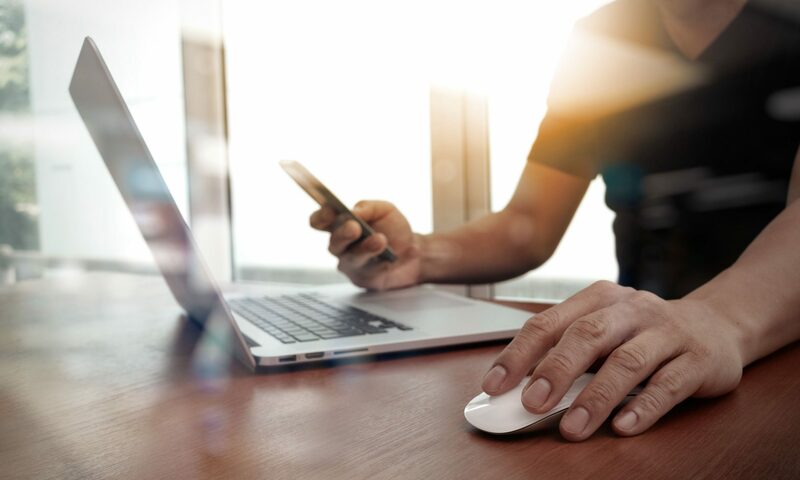 If you are looking for flexibility and convenience, taking fully online and blended classes means you can work toward a degree from practically anywhere. We are here to help you overcome the challenges you may encounter along the way so you can focus on your education. We recognize the importance of providing our faculty with essential training and resources for teaching online. Teach Online contains the latest information on course design, professional development, and educational resources for faculty. Let us keep you in the know and up to date on the latest advancements in teaching online. What Can CDL Do for You? You know your subject matter, and we know how to help you deliver it online. Explore CDL Services and see how CDL can help you design, enhance, & deliver your next online course. Let us take your course to the next level! 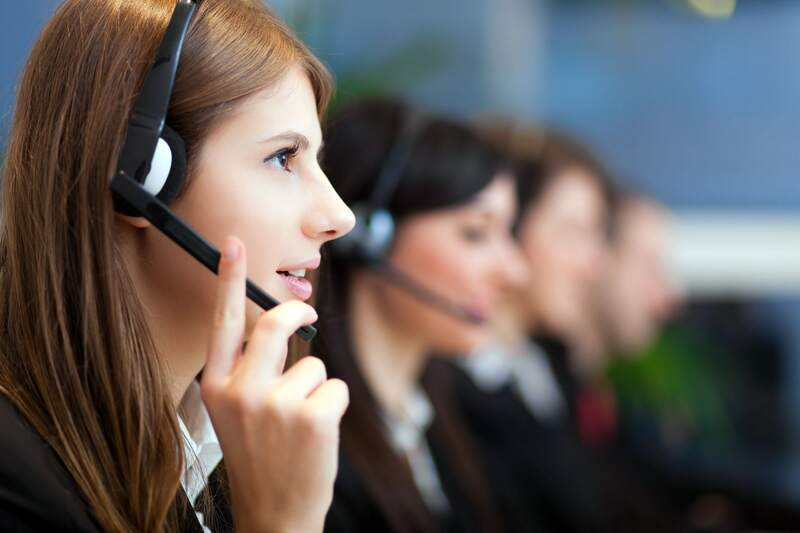 Technical Support Services – Having technical issues? We can help! Multimedia Services – Need content visuals? We got this. Engage and Inspire Your Students with a growing library of games, applications, study tools, & learning aids. Materia is designed to help you diversify your students' online learning experience. 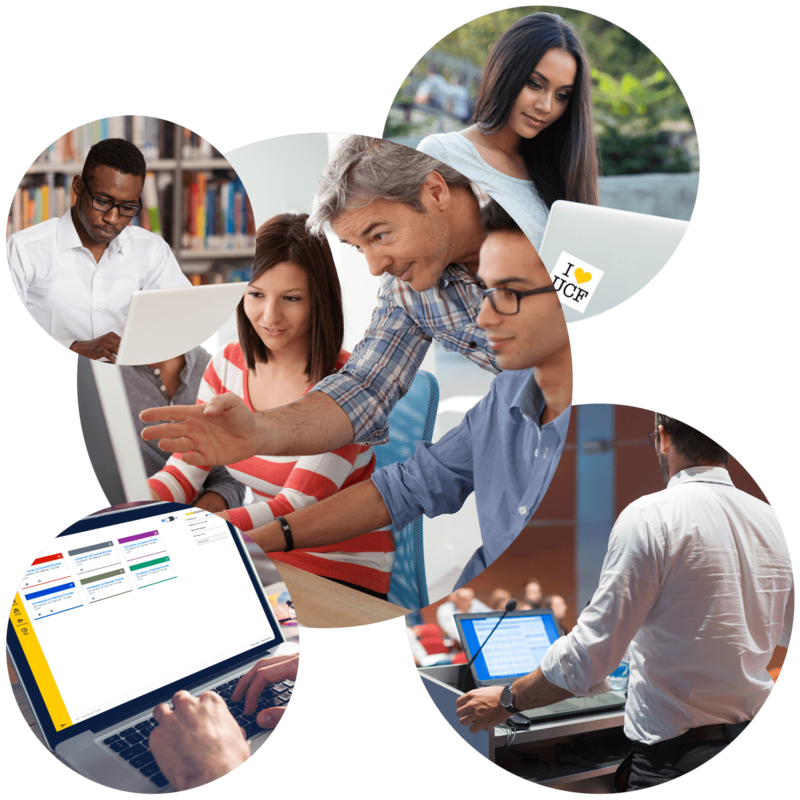 Obojobo is UCF’s new online tool that provides a multifaceted interface capable of building, containing and utilizing instructional components. ProctorHub is a Webcourses@UCF integration that assists faculty members with quiz and exam authentication while helping to curb cheating. 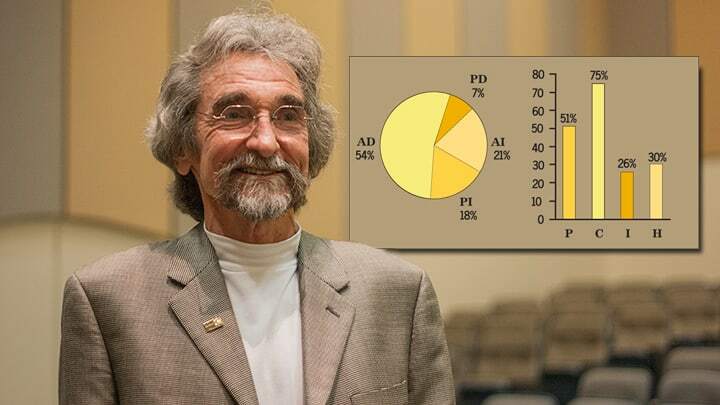 The Universal Design Online content Inspection Tool (UDOIT) enables faculty to identify accessibility issues in Webcourses@UCF. The University of Central Florida's (UCF) Center for Distributed Learning (CDL) offers the Teaching Online Pedagogical Repository (TOPR) as a public resource for faculty and instructional designers interested in online and blended teaching strategies. The Teaching Online Preparation Toolkit (TOPkit) website is a comprehensive resource that provides the postsecondary community with the essential elements required to ensure a very high quality online faculty development program, including a sample course that may be imported into any learning management system and then customized. This Blended Learning Toolkit is a free, open resource for educational institutions interested in developing or expanding their blended learning initiatives. The Teaching Online Podcast (TOPcast), hosted by Dr. Thomas Cavanagh and Dr. Kelvin Thompson, is a monthly podcast for online and blended learning professionals conducted over a shared cup of coffee. These stand-alone seminars are offered periodically for collegial dialogue around best practices in online teaching. They are co-presented by the Center for Distributed Learning and members of the UCF teaching faculty. The Center for Distributed Learning (CDL) serves as the central agent for online learning at UCF, providing leadership in distance learning policies, strategies, and practices. 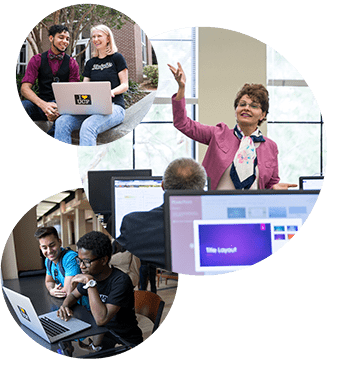 Our teams consist of motivated developers, creators, and dreamers dedicated to exploring new technology to enhance teaching and learning at UCF. We are visionaries, dreamers, artists, and developers. We are here to help faculty build and deliver world-class online learning. We are proud UCF Knights. We are fervent advocates of high quality online learning, and it is our mission to support and develop the future of accessible education. As the central agent for online learning at UCF, we transform lives by making a high-quality UCF education available to anyone, anywhere, anytime through the innovative use of technology. We are the Center for Distributed Learning. We get it. Technology can have its challenges. We’re here to help. We provide support to our students, faculty, and staff for any technical errors, concerns, or questions related to online learning at UCF. Whether it’s Webcourses@UCF, Panopto, Materia, Obojobo, or Personalized Adaptive Learning, we have the assistance you need. Evening/Weekend Support: Requests are handled in the order they are received. All responses are sent by email only. At CDL, it’s not about us—it’s about you. You know your subject matter, and we know how to help you deliver it online. Let us help you enhance your online courses to maximize every student’s success. With our wide variety of services, we have just what you need for your course, and maybe even an awesome surprise or two. Data, evaluation, and analysis are part of everything that we do. We collaborate with faculty to formulate and implement research on effective teaching practices. As technology evolves, our researchers track the ongoing impact of online and blended learning at UCF. The Center for Distributed Learning is more than a unit. Our teams consist of motivated developers, creators, and dreamers dedicated to exploring new technology to enhance teaching and learning at UCF. Each unique individual provides a fresh perspective to the growing landscape of online education, both here in Orlando and across the wider higher education community. Having access to high-quality education, no matter where you are, can help make big dreams become reality. With more than 20 years of experience providing top online degrees, UCF is a trusted source for innovative education technology. Explore over 80 online degree programs and certificates through UCF Online. The Teaching Online Preparation Toolkit (TOPkit) is a comprehensive resource that provides the postsecondary community with the essential elements required to ensure a very high quality online faculty development program. The Blended Learning Toolkit is a free, open resource for educational institutions interested in developing or expanding their blended learning initiatives. The Teaching Online Podcast (TOPcast) hosted by Dr. Thomas Cavanagh and Dr. Kelvin Thompson, is a monthly podcast for online and blended learning professionals conducted over a shared cup of coffee. The Teaching Online Pedagogical Repository (TOPR) is a public resource for faculty and instructional designers interested in online and blended teaching strategies.